Black Pink's full member poster for the first time! Black Pink released a full member teaser poster before the comeback. YG Entertainment posted a teaser poster for Black Pink's "KILL THIS LOVE" group on their official blog at 9 a.m. on 29. In the released teaser poster, Black Pink showed off their girl crush appeal with unique fashion items such as top and short pants, High boots and gartering. Through the group teaser, Black Pink attracted attention by sensibly digesting previously never-before-seen outfits and hairstyles. 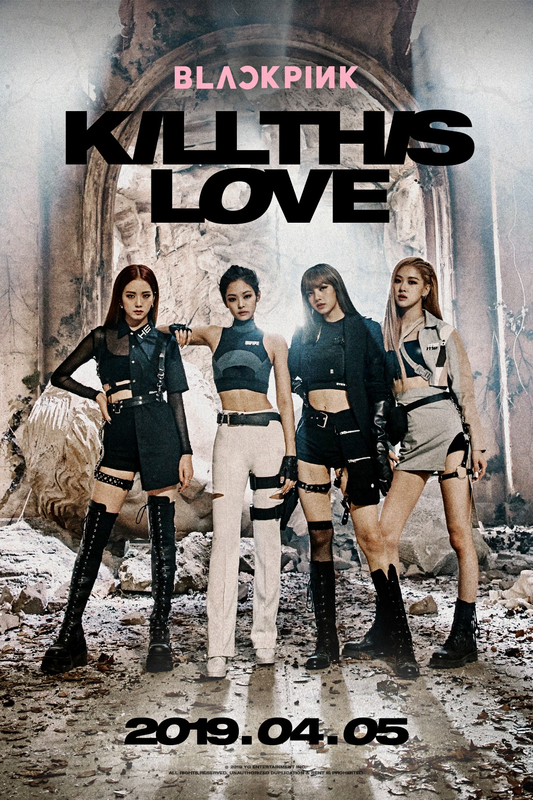 Released on April 5, "Kill This Love" is a song pierced by lead bras and grand drum sounds, and is woven with Black Pink's charismatic rap and vocals. The song was produced by Teddy, who has produced Black Pink's hit song since their debut. It is expected that it will surpass the "DDU DU DDU DU" that gained global popularity after its announcement in June last year. The "Kill This Love" performance, which includes four world-class choreographers, is just as important as the music. said to have created a dynamic choreography that will harmonize with the intense sound, stimulating fans' curiosity. Black Pink's "Kill This Love" is also drawing attention as it is the first EP album to be released since it joined hands with Interscope of Universal Music Group, the largest U.S. record label. When Black Pink's comeback was confirmed, leading U.S. media outlets such as Billboard and Grammy also reported the news with high expectations. Since the release of "Kill This Love," BLACKPINK will be staged on April 12 and 19, the biggest music festival “Coachella Festival” in the U.S, they will visit fans around the world on a North American tour that will run from LA to six cities and eight concerts.